Dr Carlo Risoli and his colleague Dr Pedro Guttieres are highly skilled in the placement and restoration of dental implants. Dr. Gutierres is actively involved in Implant education. He is the Clinical Coordinator of a renowned International Dental Implant Program and regularly goes abroad to lecture on Implant Dentistry and demonstrate complex surgeries. Dr Gutierres completed a Master's degree in Implant Dentistry at Warwick University, in 2011. Over the years he has undertaken extensive training to become proficient in surgical procedures for all implant related oral surgery techniques, including Sinus Lift, guided bone regeneration and full mouth rehabilitations with fixed prosthesis. This allows him to restore the most complex cases, achieving predictable outcomes with the highest aesthetics. 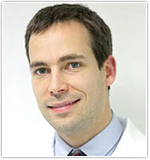 Dr. Pedro Gutierres qualified at the prestigious Egas Moniz High Institute of Health Sciences in Lisbon 2006. He worked in general practice in the UK shortly after qualifying. In 2007 he successfully completed a two and half year advanced international education program at the prestigious New York University College of Dentistry, and went on to complete a Master's degree in Implant Dentistry at Warwick University, in 2011. Two years later Dr Gutierres interrupted his professional activity and moved to Brazil, where he trained with some of the leading names in Implantology. He graduated from CETO and concluded the International Advanced Program in Implant Dentistry from APCD. Dr Gutierres is a member of the BDA (British Dental Association) and ADI (Association of Dental Implantology) and The Royal College of Surgeons of England. In some cases – ‘New teeth in a day’ may be possible and suitable- in others the may need more time to bond (integrate) with the bone after they have been placed. Implant placement is usually followed by a period of healing lasting from 6 weeks to 6 months. Often the implants are completely hidden beneath the gum, however one-stage procedures where the implant is visible from the time of placement are also commonplace. Stitches are normally removed 7 to 10 days after the implant placement. 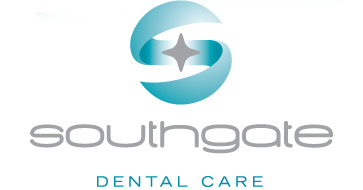 What we offer at Southgate Dental Care. Two or more teeth are replaced with single implants, or by joining two or more implants together. If all the teeth in the jaw are misssing and sufficient implants can be placed into the jaw, full replacement of teeth can be achieved. In most situations the provision of a sufficient number of implants allows for fixed bridgework. However, a minimum of six implants is required and in some situations more are required if there is reduced volume and quality of bone. Dentures can be held securely in place with implants. Denture wearers who have loose and painful dentures may especially benefit from implant supported dentures. Two implants in the lower jaw and four in the upper secure a denture replacing all the teeth. The denture is attached, via locator attachments, to the implants and held firmly in place allowing the patient to eat with confidence, smile and laugh again. There are various types of bone augmentation that may be required in different situations. Not everyone needs this as part of their treatment, but where there is a lack of bone Dr Gutierres is well trained for this type of procedure. This is carried out at the time of implant placement.Bone is added around the implant due to small deficiencies in the bone. This will help to maintain the look of the implant crown where it comes out of the gum. Sinus augmentation has been shown to greatly increase the chances for successful implants if there is insufficient bone and minimal height. Deformities in the upper or lower jaw can result in inadequate bone in which to place dental implants. This defect may have been caused by periodontal disease, wearing dentures, developmental defects, injury or trauma. Not only does this deformity cause problems in placing the implant, it can also cause an unattractive indentation in the jaw line near the missing teeth that may be difficult to clean and maintain. Finally, the incision is closed and healing is allowed to take place. Depending on individual needs, the bone usually will be allowed to develop for about four to 12 months before implants can be placed. In some cases, the implant can be placed at the same time the ridge is modified. Ridge modification has been shown to greatly improve appearance and increase chances for successful implants. Ridge modification enhances restorative success both esthetically and functionally. When a lot of bone has been lost from the front part of the upper jaw, it is occasionally necessary to build this back using a block of bone from the patient. This bone is usually taken from the back of the lower jaw though sometimes it may instead be taken from the chin. This block of bone is securely attached to the deficient ridge using tiny titanium bone-screws and will allow dental implants to be placed once the block graft has healed. Although the treatment offered is pain free, sedation is available for more difficult cases or overly anxious patients. Details of the implant systems that we offer. We are skilled in the use of all the established implant systems including Nobel Biocare Branemark, Straumann , Biomet 3i etc. and will use whichever system is most appropriate for each individual patient.